The American Sign Museum is dedicated to preserving, archiving, and displaying a collection of vintage and modern signs, as well as the equipment used in the design and manufacture of signs. Located in Cincinnati, Ohio, the American Sign Museum was established in 1999 by Tod Swormstedt, the grandson of H. C. Menefee, the first editor of the sign industry's main magazine, Sign of the Times. The Museum first known as National Signs of the Times Museum and was later renamed the American Sign Museum and opened to the public in 2005 to share the history, culture, commerce, and technology of the sign industry and the stories signs have to tell. 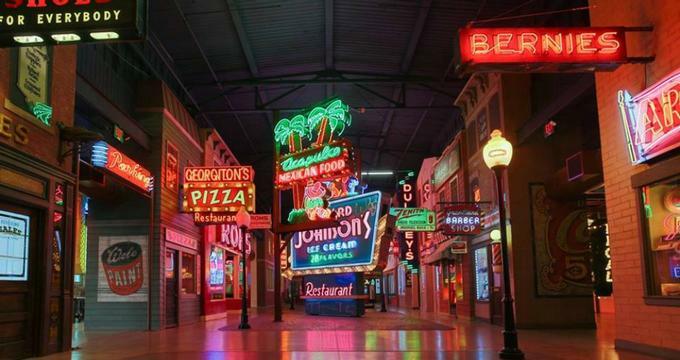 The American Sign Museum takes visitors on a journey through half a century of sign history beginning with the beautiful gold leaf glass signs of the early 1900s through neon’s heyday in the 1930s and 1940s to the funky plastic era of the 1950s. The Museum features over 19,000 square feet of exhibit space with 28-foot high ceilings to accommodate the collection’s larger signs. The Museum also has a working neon shop, which visitors can visit and watch the expert's sign makers at work, event spaces for special occasions, meetings, workshops and private parties, and an impressive archive of books, documents, and photos highlighting the art, craft, and history of sign making. 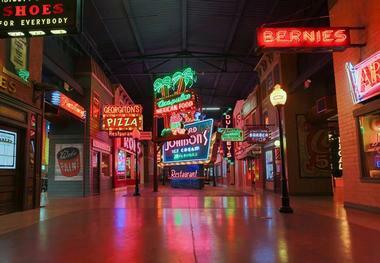 The mission of the American Sign Museum is to educate the public about the complex and fascinating history of American signage through unique exhibitions and displays and educational programs. The Museum’s vision is to become the country’s premier institution for the preservation and promotion of signs and signage and the role it plays in the culture and commerce of America. The American Sign Museum has a collection of over 200 signs and other signage-related objects ranging from the late 19th-century to the 1970s, as well as more than 3,800 cataloged items. Some of the most inspiring signs are those from the pre-neon era, including signs advertising cobblers, haberdashers, druggists, and other turn-of-the-century businesses. Highlights of the collection include a rotating neon windmill, a Sputnik-like plastic orb, a fiberglass statue of Frisch’s Big Boy with a slingshot in his pocket, unique show cards from Las Vegas and samples of gold leaf lettering. 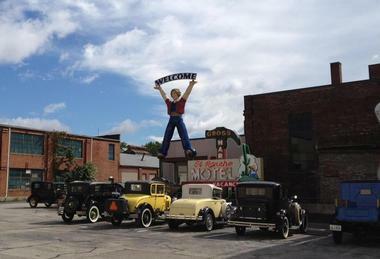 There are also business signs from Earl Scheib, Big Bear Stores, and Howard Johnson’s, and the Museum’s entrance features a 20-foot-tall fiberglass genie. Other unique pieces in the collection include a single-arch 1963 McDonald’s sign featuring McDonald's Speedee character who was phased out in the 1960s, and a neon sign from Johnny’s Big Red Grill. The American Sign Museum is located at 1330 Monmouth Avenue in Cincinnati and is open from Wednesday through Sunday from 10:00 am to 4:00 pm. The Museum offers guided tours that bring the stories of the signs of life and explore the evolution of signs throughout history, including a visit to the onsite neon shop to see how neon signs are made. Free parking is available on site, and the Museum is wheelchair accessible. 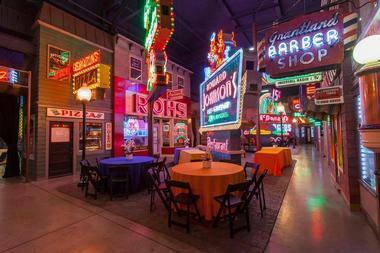 The American Sign Museum, which is decorated like an old-time Main Street with historical signs collected from around the country offers a unique indoor venue for private parties, functions, special occasions, and celebrations. The venue can cater for special functions for 50 up to large social gatherings of 350 guests for standing receptions and 175 for seated dinners against a backdrop of storefront displays and neon signs. The Museum can provide caterers for smaller events, and offer a list of preferred caterers for larger events, as well as a bar service and full audiovisual access with microphones and two video presentation screens.